How Important Is Proper Grammar And Word Usage To Effective Communication? Home / Blog / Blogging / How Important Is Proper Grammar And Word Usage To Effective Communication? One of the best and most well known writers in English literature, William Shakespeare is credited with inventing over 1700 words that appear in his plays. He changed nouns into verbs into adjectives thus misusing words to communicate.If Shakespeare could be so liberal with the language how important is it really to follow the rules of proper grammar? Aaron Wall posted yesterday How Hard is it to Write Clearly?, following a trail of quotes from George Orwell on the importance of improving the clarity of language. I agree completely that it’s important to communicate effectively in all writing, but the post got me thinking how important things like typos are or how important is it to always follow the proper rules of grammar. It also got me thinking how imprtant it was to correctly use words in order to communicate effectively. You’d be lying if you said you knew what a Jabberwock, a Bandersnatch, or a Jubjub bird is, but there’s no denying that are all to be avoided. Clarity in communication most definitely. Carroll made up each of those words, yet from the words around them we can infer an awful lot about them. Of course Shakespeare and Lewis Carroll were writing fiction and most of our sites are works of non-fiction. Speak the Language Of The Dog: But What If Your Dog Quacks Instead Of Barking? The gurus at grokdotcom urge you to speak the language of the dog if you want to sell to the dog. The advice is very good in that if you want to connect with your customers you need to speak their language and not yours. What happens though, when your customers refer to things improperly? What happens if instead of barking you customers quack? If your site is tech oriented and appeals to a younger crowed you might find many visitors to your site using 133t or h4ck3r speak. If they’re using it you probably should too. You can most likely break any rule of grammar since your visitors won’t mind and will actually expect you to use new variations of words. It’s part of the culture. If anything proper use of the language in this instance would cause you to lose more of your visitors than to keep them. A number of years back I worked in an environment alongside a variety of artists, writers, musicians and other creatives. The creative process was an ongoing thing and much of it in this circle involved bending the language. We worked in a book store and one day someone might have referred to the cash register as the registry. A few days later someone else might have called it the registrine and later another may have referred to it as the vegestrine. In time vegestrine could have become the accepted term for a cash register. Bending the language in this way was done both for the humor of the moment and to keep the creative juices flowing. The words and grammar are all misused, but in turn new words and grammar were created. Those words while essentially nonsense clearly communicated a meaning within our circle. If your site is a commercial one I think adhering to proper grammar, correct spelling, and using words correctly is a good thing. It’s an essential thing really. The lack of any can cause your business to be seen as less than professional. The occasional typo is probably fine as most of us will forgive that sort of thing, if we even notice it, but an over abundance of mistakes conveys a very amateur impression of your site and business. You may not be the best speller, but if you’re in business you should be able to hire someone to at least proof your writing. I might not be the best person to speak about this, since I know this site is filled with a variety of errors due mostly to my lack of typing skills. I’ve corrected many, but know many more errors still abound. Still it’s something that I should work to correct more as even just a handful of typos on a page could easily turn off potential clients. Then again the two people who have mentioned it most to me both became clients after seeing the typos. I have no idea though, how much business I might potentially lose having the errors on the site. Do as I say, not as I do. It is important to properly use the language in business communication. While I do think it important to fix grammatical errors on what are essentially sales pages on the site, I’m much less concerned with them on the blog. Blogs are generally written much more informally and as a result I think grammatical mistakes are much more likely to be forgiven and even enjoyed as they can often provide a glimpse into into the personality behind the blog. Mistakes make us human and seeing a blogger make the same mistake as you could provide a common bond. I don’t advocate making mistakes on purpose, but I don’t see them as leading to the same potential problems as they would in more formal communication. While on a sales page I am communicating for leads, on the blog I’m simply talking. 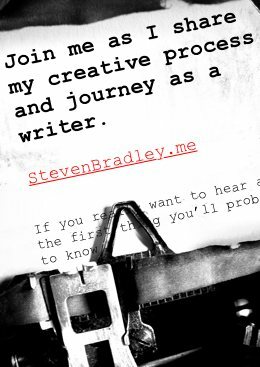 My writing voice is a little different from my speaking voice, having developed somewhat independently of each other over the years, but I try to keep them very much the same. One of the common rules taught to me in school that I have always broken is ending sentences and phrases with a preposition. I’m aware of it almost always when I do it, but it sounds more natural to me and it makes its way often into my writing. I’m sure somewhere the English teachers of my youth are groaning, but I doubt anyone reading here cares much, and I’d be willing to bet most of the offending sentences have never been noticed. You’ll have any easier time in most cases ranking a page for a misspelling than you will for ranking the same page for the proper spelling of a word. I don’t advocate purposely misspelling words on your pages, since ranking or not if the people reading them are turned off you won’t profit from the misspelling. Still there are plenty of websites profiting solely through the use of common misspellings to words often typed into a search engines. They may not be the highest quality of sites, but many make a good deal of money for their owner. People do misspell and mistype words and markets exist to capitalize on both. Creativity is an important part of advertising and marketing. If you can successfully bring a new word or phrase to our attention you can attract attention to yourself, your site, and your business. You become the source for the addition to the language. The term Ajax had nothing to do with web applications until Jesse James Garrett of adaptive path used it in that context. Words like ecommerce and email were created out of the language and now adding an ‘e’ in front of anything is synonymous with being online. A company like eBay was able to capitalize on that little ‘e.’ It’s become a common design trend to use lower case letters to start a word that would more commonly be capitalized. Rules can be successfully broken. I think it depends on where the writing appears and the context in which it appears. In a sales later or business proposal it’s essential to get things right and proper. One of the quickest ways to get your resume tossed is to misspell a few things. You generally want to come across professionally in all business writing. Yet I can easily think of industries where getting things wrong can work well. Think Toys ‘R’ Us with the backwards ‘R.’ That single backwards letter is a great marketing ploy and helps brand the company as one geared towards children. Where your writing is meant to be more informal as in a blog I think it much less important to adhere to every rule. You should probably still aspire to getting it right, but it’s not going to be as important to miss a few things here and there. I’ll even argue that breaking a few grammatical rules in your blog can make you appear more human, which is often one of the main reason for having a blog. I agree with Orwell that it’s important to improve clarity in writing. I think it’s important to improve clarity in all forms of communication. Still I can’t help, but think of Shakespeare manipulating the language for his own purposes. Or of Lewis Carrol’s Jabberwocky with it’s majority of made up words communicating clearly and effectively. Breaking the rules is ok, and breaking those rules wth a purpose can be very successful. There’s no doubt though, that both Shakespeare and Carrol knew the rules the were breaking. And so should you. It’s ok misuse the language at times, but it’s best if you know that you are misuing the language and understand your reasons for doing so. You are right in a way that correct spelling and grammar are important for people to understand what you want to say. Typos, in turn, may turn away people (maybe I should try typoing to get clients? share a tip? 😉 ). But you should consider the language as a living being, not as a fixed combination of rules and words that you see in a vocabulary. The language evolves, and sometimes takes forms that you may consider obscure, obscene or abnormal. But the nature of language evolution is to probe the word order, word-forming particles, suffixes, etc. Take the kind of word-building when two words are formed to form a single word, even when it is first used with a hyphen. Then again, you truly can use the grammar at your leisure if you understand how it lives. Inversion (inverted word order) you can use to emphasize a simple, otherwise unnoticeable, sentence. But when it comes to writing for the web, you should also use semantically correct markup, which, unlike grammar, can’t be worn inside out. Search engines do trust pages with semantically correct markup (because it helps the visitors to understand what the page about and the page author has definitely spent some time to format the page). The living breathing aspect of language is my real point here. I think there are times when you do need to be formal in your writing and make sure to follow the rules as best you can, but for the most part I think creating new words and bending the rules is good for language. The main thing is to be able to communicate more effectively. If bending the rules helps in communication or at least doesn’t hinder it I’m all for expanding on the language. I don’t usually make a habit of commenting on posts that are a couple of years old, but I just ran across this one for the first time, and wanted to let you know how much I enjoyed it. I think that sometimes it makes sense to take that risk in breaking rules of language, in business writing, in blog writing, in communicating ideas. It’s the unique, the meaningful, the creative, and sometimes the nonsensical that makes our thoughts stand out. And, as your state in your comment, if breaking the rules of grammar, of spelling, of word usage can improve our communications, then we should consider fracturing a few words and sentences. Thanks Bill. Yeah I was surprised to see a comment on this one after all this time. There are definitely times when you’re writing needs to be more formal and adhere to all the rules of grammar, but it really depends on who you’re writing for and what the medium is. Sometimes I think of the best literature I’ve read and how often they bent the rules to make a point. And then how many things they do end up becoming acceptable and part of the language. I guess I enjoy words. Thank for your expression of the proper grammar, i will like you elaborate on it more. Thank you. What is the proper use of the words do and due? i.e. The damage is do or due to the settlement? The damage is due at settlement. a letter stating that the curb and gutter and depression in the street are do to settlement. Is this a proper use of the word do or should it be replaced with due? The curb and gutter depression in the street are due to settlement. Shouldn’t the title be “How Important Is Proper Grammar And Word Usage FOR Effective Communication?” instead of “…..TO education.”? I don’t think education is personally concerned. “For” would probably have been a better choice, though I think “to” still works and is also grammatically correct with a somewhat different meaning. However if ‘”to” really isn’t correct then it actually fits well with the point of the post. You’re right though. “For” would probably have been the better choice.